I’m not sure if this is actually PVC. It looks like leather from some angles and in others it’s giving me a PVC vibe except it also seems like it might be sort of, like, crinkly, and does PVC crinkle? Whatever. This is not a duchess dress, no way. 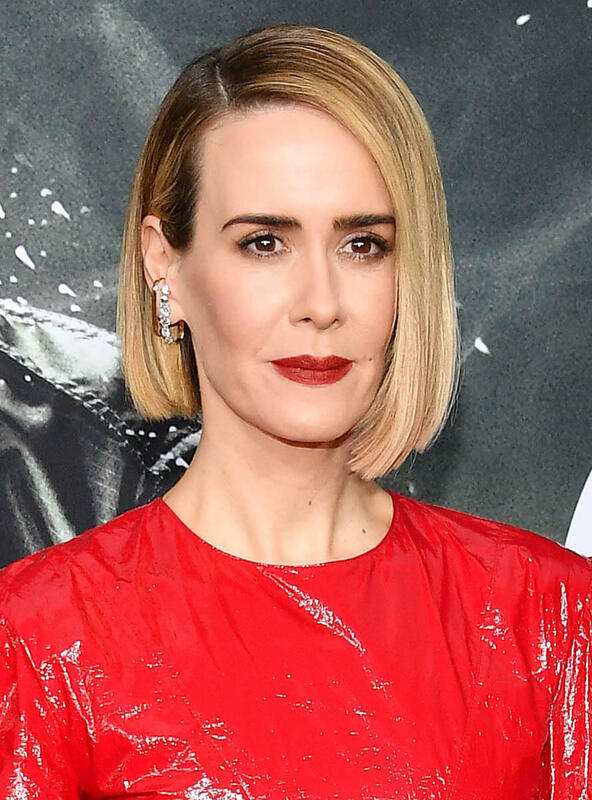 This is very much a Sarah Paulson dress though – high fashion, edgy, borderline ugly, definitely not boring. So of course I can defend it. I can always defend those sleeves, I really like the length, I don’t mind the ruching at the waste, but I don’t know if this was the right shoe. It might be my aversion to sh-t like that on a shoe. It was big in, like, 2001 and, well, not the kind of thing that had lasting power because it became a wedding shoe. Weddings aren’t usually the place where style goes to thrive. The twist here is the asymmetry but even that, I don’t think, is enough to save it from its tackiness.